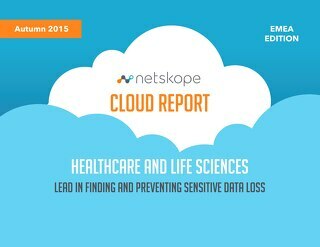 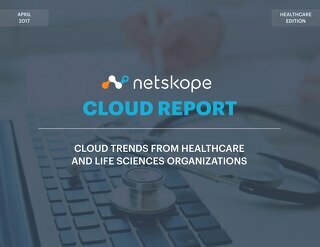 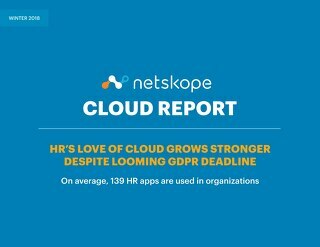 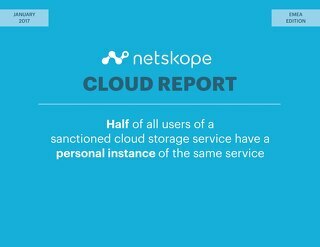 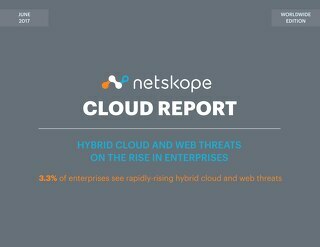 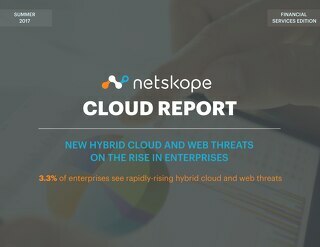 In this Netskope Cloud Report™, we’ve compiled the most interesting trends on cloud app adoption and usage based on aggregated, anonymised data from the Netskope Active Platform™. 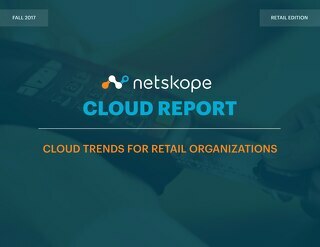 Report findings are based on usage seen across millions of users in hundreds of accounts globally, and represent usage trends from January 1 through March 31, 2016. 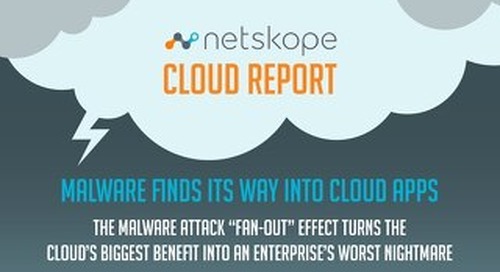 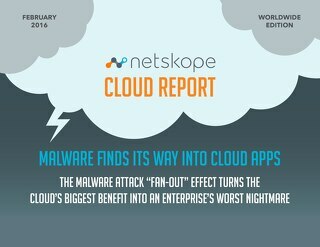 Malware continues its rise in enterprise clouds, with an average of 11.0 per cent of enterprises detecting malware in their sanctioned apps. 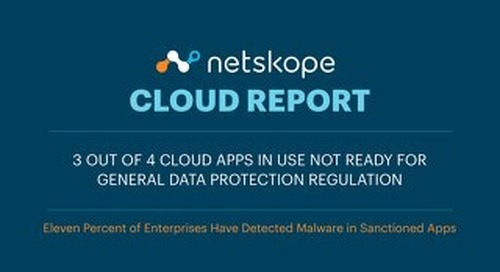 26.2 per cent of malware files discovered in sanctioned apps are shared with internal or external users or publicly. 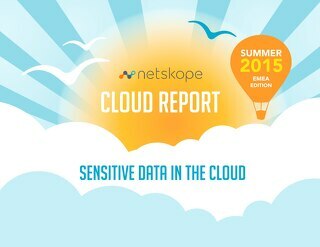 Enterprises have an average of 777 cloud apps in use, a slight rise from 769 last quarter. 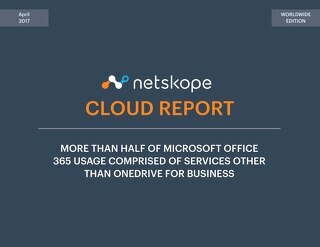 The Microsoft Office 365 suite continues to lead the pack in top-used business productivity apps, with Office 365 Outlook.com, OneDrive for Business, SharePoint, Yammer, and Lync in the number 2, 3, 12, 19, and 20 spots, respectively. 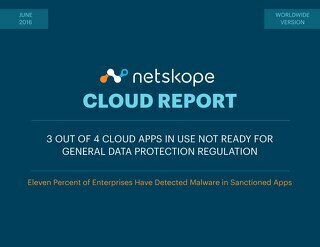 Cloud Storage apps dominate cloud DLP violations, with 73.6 per cent of the total.